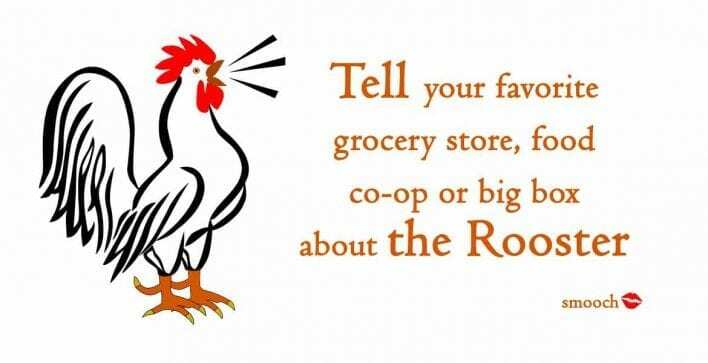 On your next trip to your natural grocery store, food co-op, or big box, talk to the coffee buyer about Singing Rooster. Tell them: Haitian coffee is in demand but hard to find. Remind them: There are tens of thousands of Haitian Diaspora living in the U.S. plus thousands more who volunteer in Haiti. Our coffee attracts new customers. Offer a personal testimony: Our Haitian coffee is excellent. 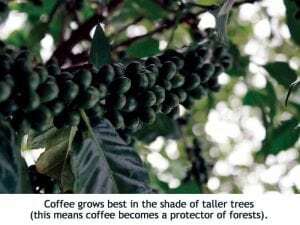 Say: We are environmentally responsible: For every bag of coffee, we plant an income-providing tree. Toss in: we’re dedicated to paying farmers well above fair trade prices. 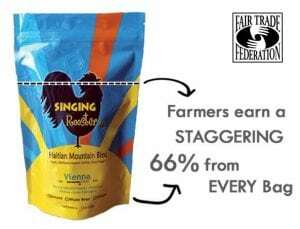 Farmers make 66% of each bag sold. Fair Trade = $1.80 per pound of coffee. We pay AT LEAST $3 per pound (and return money after products sell for building stronger businesses). Cherry on top: Conscious consumers support our brand because of our direct buyer relationship with farmer-owned cooperatives. 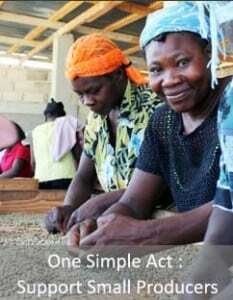 We provide pre-harvest financing and pay well above Fair Trade prices. Then we roast the farmer’s coffee & return 100% of proceeds back to farmer communities for continued economic development. Smooch – we’re ever grateful.